Business office with EIFS and metal paneling exterior finishes. Concrete paving was also used due to heavy traffic being anticipated. Corporate headquarters for a logistics company. This project included the business office of the company, the operations center, a maintenance shop, a fueling station and a truck dealership show room. 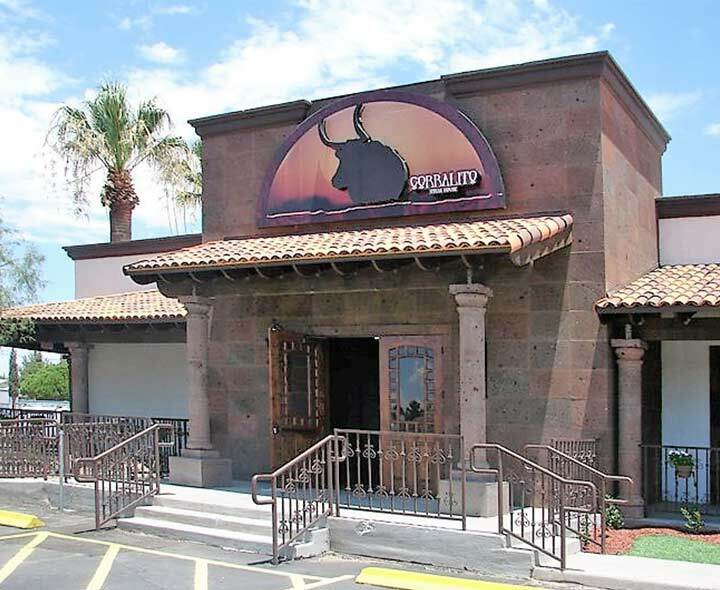 Renovation of the exterior elevation, dinning room & bar area of a steak house located on Doniphan Road in El Paso TX. This project required a new lobby & front porches verandas to lower solar heat gains due to its west facing exposure. The owner requested an architectural style reminiscent of traditional Mexican haciendas. Conceptual design for a high end retail center intended to attract national a-rated franchises. 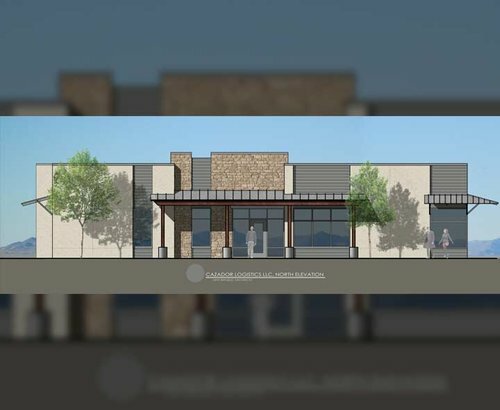 Conceptual design of a large retail center in West El Paso with a large local grocery store as a anchor tenant. This project featured a traditional Tuscan architectural features & modern loading docks to serve the grocery store. This hacienda inspired project features a large ball room that could be sub-divided into two smaller banquet halls for weddings and sweet sixteen parties. This program required a large commercial kitchen, two bars and a large garden. A retail center in Albuquerque New Mexico with 3 speculative tenant spaces in the front and a maintenance car shop anchor tenant in the rear of the building. A new sports bar specializing in craft beer with a rustic southwest atmosphere. 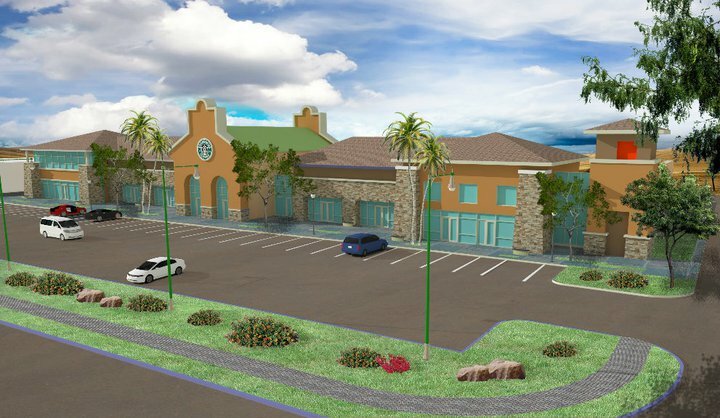 Conceptual design of a retail plaza with a steak house as an anchor tenant and a service station. This facility was to be used for the final assembly of printers with parts and components imported from Mexico. The front portion of the building contained a product show room and sales offices.